Shirley is an accomplished Professional Scrum coach having trained over 1,000 consultants. She has 20 years of extensive experience and has been practicing professional Scrum for over 11 years. A Scrum Master, Product Owner, Agile Transformation Coach and a Scrum.org Professional Scrum Trainer influencing development across different organizations in Southeast Asia. She is an experienced Oracle Certified Enterprise Architect in the Information Technology industry mainly in architecture, application integration, development and product support. She has vast experience in Enterprise Application Integration particularly on Java Enterprise Edition component technologies and distributed application systems. Being a Big Data Hadoop Developer and trainer, she is also instrumental in building Big Data capability. 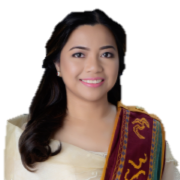 She obtained her bachelor’s degree in Computer Science and master’s degree in Information Systems from the University of the Philippines.